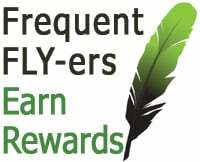 Join our Frequent FLY-er program and earn points that you can redeem on purchases at J. Stockard Fly Fishing. For every dollar you spend on our site, you get 30 reward points! Each 1,000 points can be redeemed for $1.00 in savings, up to ½ the value of your order. For every approved product review you post, you get 300 points! Points are good for one year from the date you earn them. What's the bottom line? For every $100.00 you spend, you get $3.00 off your next order! That’s like a 3% saving every time you buy. Go ahead, get started. Register now! Already a Frequent FLY-er? Check your point total now.